We know that a divorce is stressful for all involved. That stress combined with the required attention to detail can be overwhelming. Not everyone can comfortably afford an attorney. A friendly and compassionate legal document preparer who listens, and is familiar with the forms and procedure may be all that you need. Many of our member document preparers can help you by providing divorce document preparation services. 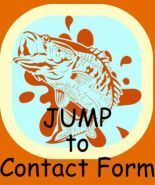 Please submit a contact form and we'll do our best to match you up with one of our members who can help. If a divorcing couple doesn't have children together, and has no property to divide, a couple may have a choice about which forms/ or processes to use. A couple can choose to use the simplified process by filing The Petition for Simplified Dissolution of Marriage or the regular Petition for Dissolution of Marriage. The main difference between the two processes is that in the simplified dissolution process, both parties must appear at the final hearing. If one or the other is unable or unwilling to appear at the final hearing, then a simplified dissolution is the wrong choice. Our members offer document preparation services for either the simplified process or the regular petition for dissolution of marriage with no property and no children. Some of the biggest decisions arise when there are children. Florida has several different processes for dissolution of marriage, depending on the couple's specific circumstances. If there are no children, and no property to divide, the couple may be able to use Florida's simplified process. However, for some, the "simplified" process is more complicated than using a regular petition for dissolution of marriage. The needs of the children should always be held highest when a couple divorces. However, all too often, children are hurt the most. Florida requires both parents to complete a four hour parenting class. Even though, each parent may be an excellent parent, there are new skills and considerations when parents are no longer together. If a divorcing couple has children in common, issues about child support and child visitation need to be settled. As a matter of public policy courts must uphold the best interests of the child. Florida courts have a strong bias towards awarding shared parental responsibility, so that children have access to both parents. Florida is what is known as an "equitable distribution" state. Equitable does not mean exactly equal, it means fair. Most property acquired during a marriage is considered "marital property" and, needs to be equitably divided at the time of a divorce. Some couples want or need a Marital Settlement Agreement to settle and memorialize how their debts property are to be divided. A marital settlement agreement is usually signed by both parties, and once the divorce is final it becomes part of the final order. If a divorcing couple has amicably divided their property prior to filing for divorce, then they may not need a Marital Settlement Agreement at all. Our members also prepare the documents to establish legal paternity. The central document for this process is called a Petition to Determine Paternity and Related Relief. This process is similar to a divorce with children. It is like a divorce, but for a separating couple who were never married and have a child together. Its especially important for unwed fathers, because when parents are unwed custody and parental rights go automatically to the mother unless this court process is completed. The result of filing a Petition to Determine Paternity and Related Relief is that the biological father is named the legal father and awarded paternal rights to the child. And at that point the father is able to set up a Parenting Plan so that he can have regular timesharing with his children. Remember - we are not attorneys and do not provide legal advice. After submitting your request form, you'll receive an auto responder which will tell you that your request has been received. We then forward your request to one of our members who will contact you. We do our best to match consumer requests with a document preparer in your area who prepares the type of document you need. Also, please browse the questions and answers on our Ask the Members pages. Some of the questions have already been answered. The answers have been asked and answered by consumers and nonlawyers and are not to be considered legal advice. Someone else may have already faced a scenario similar to yours. If you still have questions please do not hesitate to contact us. You are invited to phone us, complete the form below, or post your question on the Q & A. 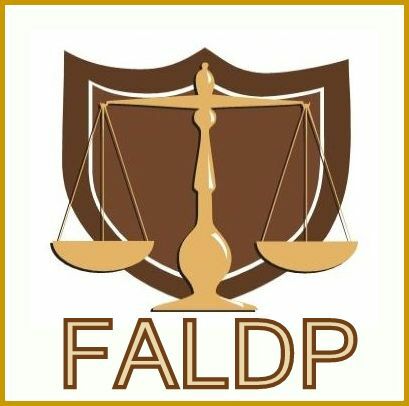 Please browse additional questions and answers on our Asked and Answered divorce pages and for more questions answers about other family matters and pro se issues - CLICK HERE.